The Jeep Renegade Trailhawk is one of the best off-roaders you can buy. Except the government doesn’t want you to. This is not another crossover. In spite of everything, that is the most important thing you will read in this whole page. 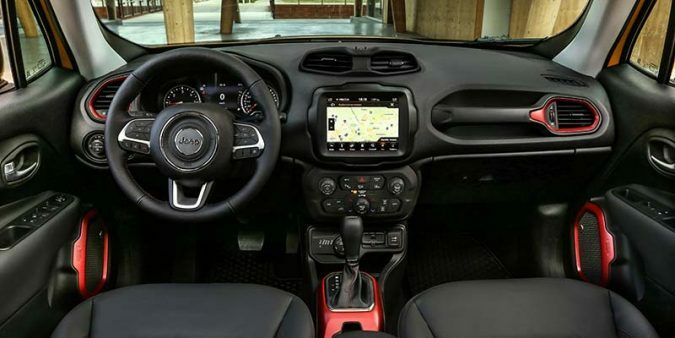 Because although the Renegade is Jeep’s foray into the profitable compact crossover segment in Europe, and the first platform sharing between Fiat and Chrysler since they merged to form Fiat Chrysler Automobiles that spawned a new model for both brands (Fiat’s is the 500X), this particular Renegade is not a crossover. You see, this is a Trailhawk. A Renegade, yes, but a Renegade Trailhawk. 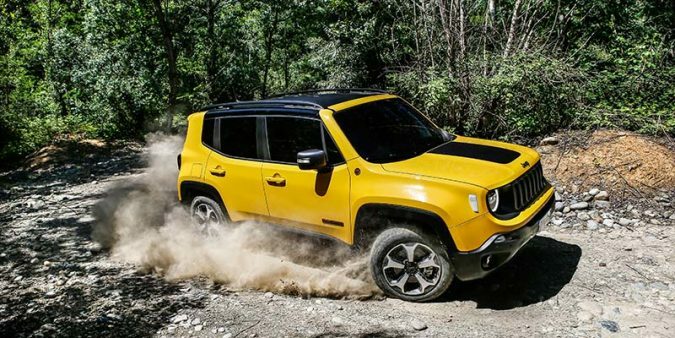 And, whereas a standard Renegade may be used as a crossover (even though Jeep is an off-roader at heart), the Trailhawk version is perfect for a run down to the supermarket – provided the supermarket is at the top of a mountain where paved roads are but a distant sight. 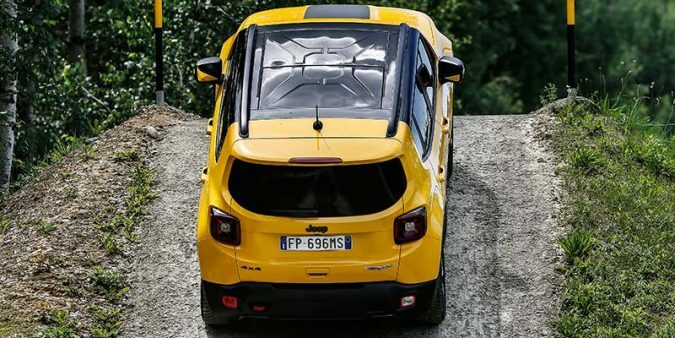 The Jeep Renegade Trailhawk, alas, is most definitely not a crossover. It is one of the purest 4×4 off-roaders you can buy. 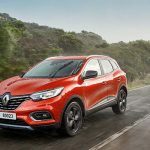 Instead of being front-wheel drive, as almost every crossover is, and most Renegades that leave the Melfi factory in Italy also are, this car has permanent all-wheel drive. That is the beginning. 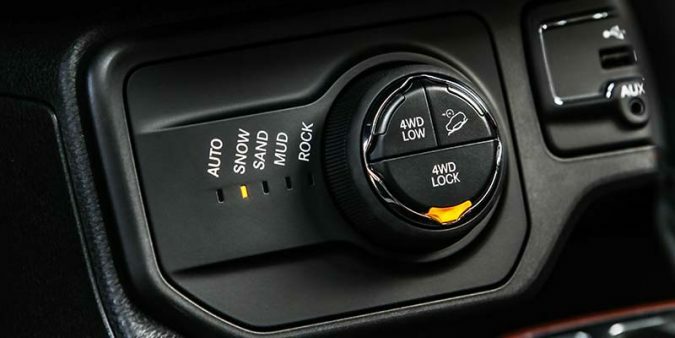 Then comes the Hill-Descent Control, a crawler ratio, increased ground clearance and a toggle that defines the driving mode: snow, mud, sand, rocks or normal road use. When in doubt, leave it in Auto and the Jeep will make all the decisions for you. The clever distribution of torque where it is needed the most makes the Renegade Trailhawk cover any kind of ground with incredible ease where others would struggle to even keep their wheels on the road. The angle of attack permitted by the ground clearance is amazing and gives the Trailhawk an ability you must think Toyota Land Cruiser or Range Rover to match it. Now let’s not pretend I took the Renegade Trailhawk out to the wildest terrains available. I didn’t. I took it on some rough roads I know, but they turned out not to be that rough when driving this car. So I thought: okay, how am I going to write about the extraordinary abilities this car possesses if I cannot test them? Well, the best I could do was take an afternoon and see what others have done. And boy, let me tell you, they have done plenty. There are dozens of films about the Renegade Trailhawk on YouTube displaying its immense abilities. Even after reading me telling you it is very, very capable, I promise you will be surprised by some of the things some fellow journalists have done with the Jeep. So if you’re interested, follow my lead and take an afternoon off. As for the other stuff a car has to get right in this day and age, the Renegade is comfortable enough for daily use, riding pretty well for such a true off-roader and, with its 2-litre diesel putting out 170 horse power, it even has some performance on offer. It’s practical, it looks good and comes with a five-year warranty. 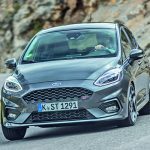 The other relevant element is the nine-speed automatic gearbox, a first for the segment. It balances everything the Renegade has to do with an average of 7 litres/100km, which is really rather good for a 4×4. The elephant in the room is the price. 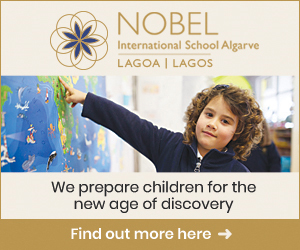 It starts at €55,000. But before you start blaming Jeep for it, let me tell you this: of those €55,000, €31,000 are taxes. So, you give Jeep €24,000 for what is, in fact, an extraordinary achievement in engineering terms and the result of years of development, and then add €31,000 for the government for … well, nothing really. Because they can. Care to take a guess as to how much this car costs in the US? Remember, it is built in Italy and has to be shipped all the way across the Atlantic. Did you say $27,000? You’re absolutely right. 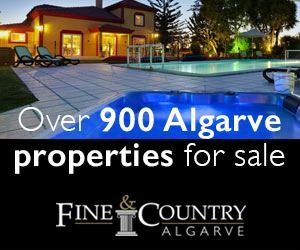 That is the world we live in, here in this little piece of heaven called Portugal. A true paradise, isn’t it? I think we should all apologise to Jeep. Anyway, the rest of the Renegade range is also pretty cool and unless you are really into some serious off-roading, a standard front-wheel drive model, more crossover than off-roader, will suit you just fine. And you can fall asleep in the knowledge the government might have still robbed you, but left some money for later instead of taking it all at once. I am very glad the Renegade Trailhawk exists and that some fellow inhabitants of this planet are able to buy it at a fair price. Jeep being the cult brand that it is, a Trailhawk will make a lot of owners very proud.